I had high hope on this pen because it sounds like the dream tool for people like me who can’t seem to master the skill of lining. 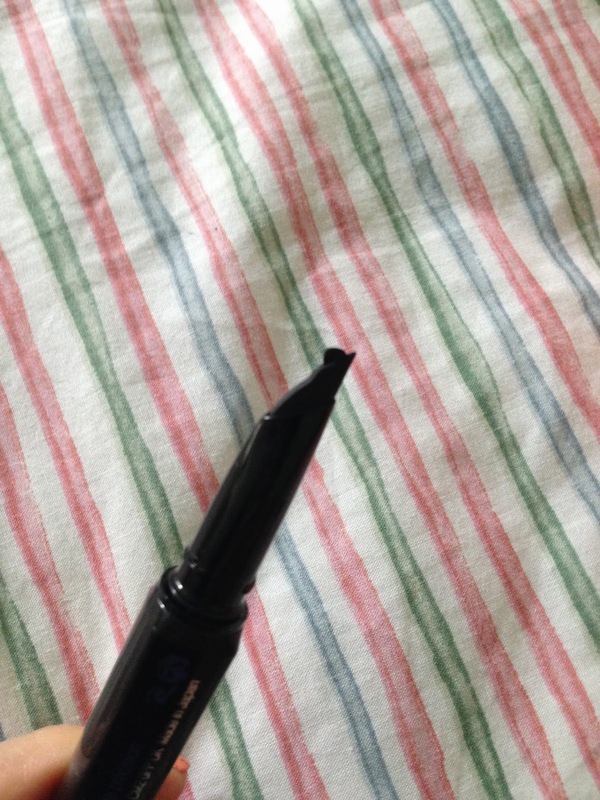 Basically it is twist-up gel liner pen with an angled rubber tip. 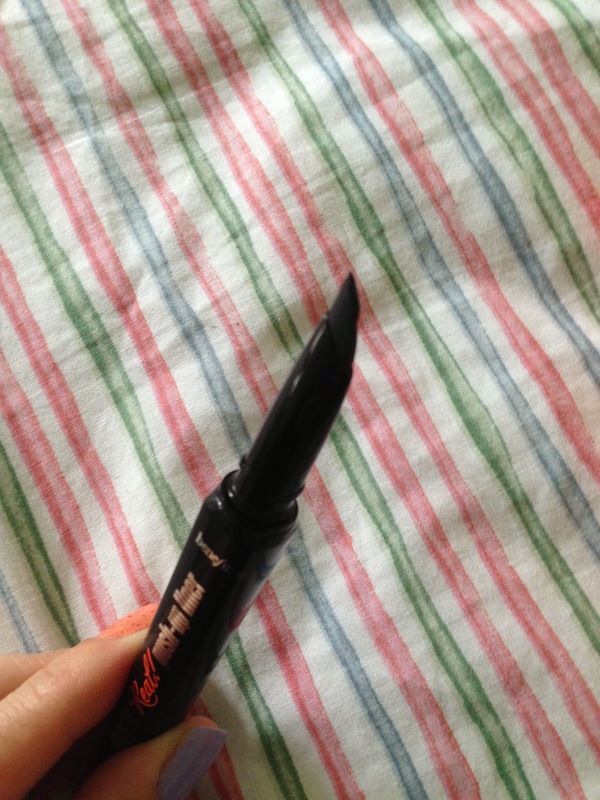 The angle and the shape of the rubber tip is “suppose to” make the lining really easy and fool proof, we can even attempt a winged liner! I have been using it for a few days now, and I am sorry to say, it is still not as easy as Benefit have made out. One of the main query I first had was “how easy it is to control how much product to come out?” The girl in the shop told me from her experience, one full twist will have enough product to line both eyes. Every twist has a few clicks, I would say don’t go for a full twist in one go. TWIST one or two clicks, then SQUEEZE the rubber nip gently, and you can see the gel oozing out from the nip. If not quite enough product half way through, don’t twist just yet, have yet another squeeze of the nip because more gel could come out. It WILL get messy at first. It happened to me. Cotton buds dipped in cleansing oil or waterproof eye makeup remover are my best friends to clean up the line and any messiness. I have been putting off to learn using the gel liner. With this new gadget, it motivates me to try and master the eye lining skills. 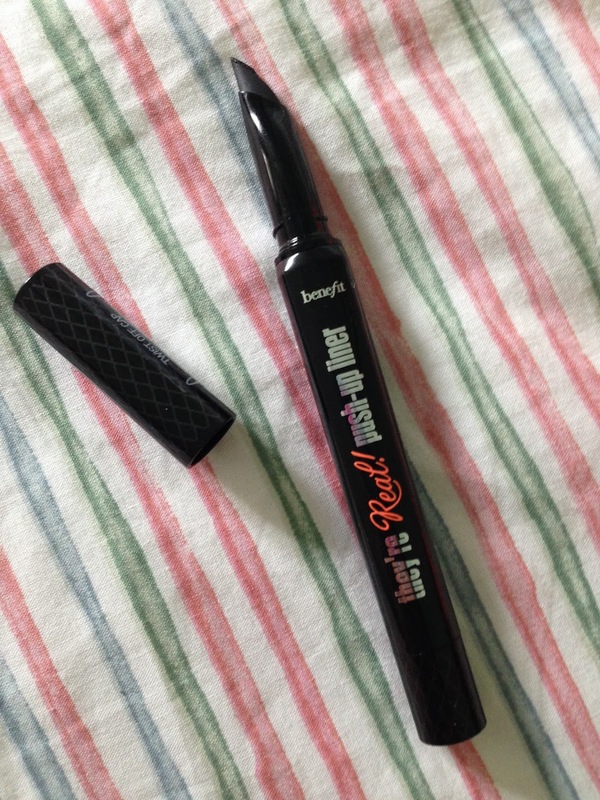 Don’t dream that this pen will let you draw on a perfect liner instantly. At the end of the day, the only way to make things perfect is to keep practising, I suppose. If you are already quite good at lining with gel, you probably don’t need this, unless it could be argued that the pen form is ideal for travel kit or in handbag if you want to top up or re-draw the line at some point during the day. 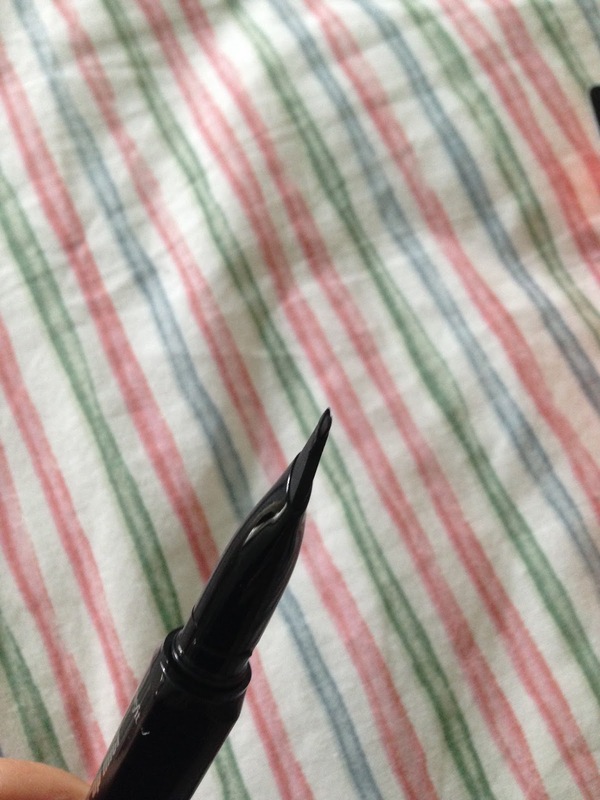 Be careful that when curling your lashes after lining, even I give it a couple of minutes to dry, some of the liner still sticks to my curler. 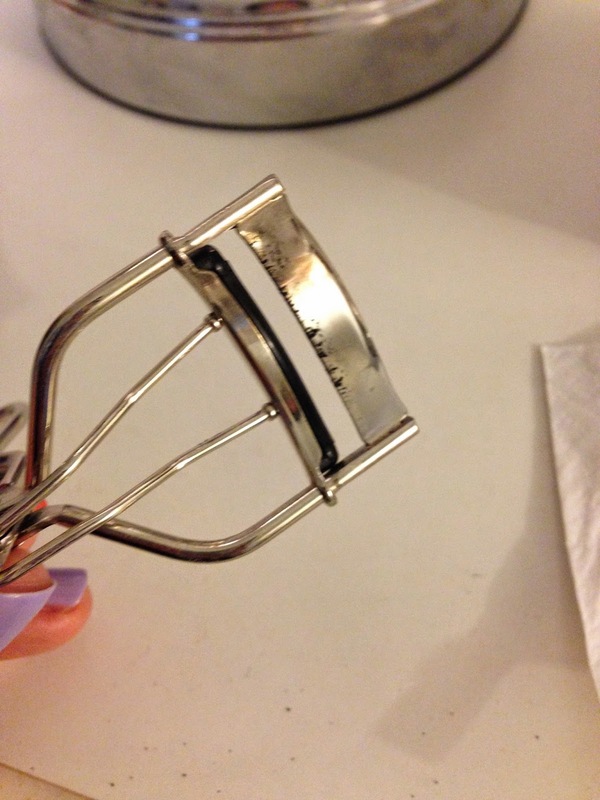 So be gentle when you peel your curler away from your lashes. 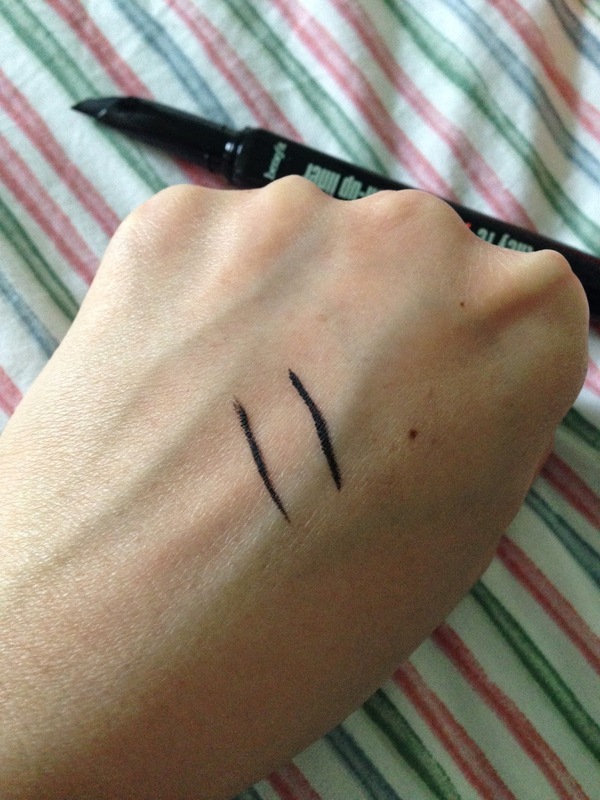 The gel is very matte black, and it is pretty smudge proof even on my very oily eye lids! Which I am VERY impressed! I am still 50/50 about this liner. For the price of £18.50, I am afraid it is not a must-have product. If you are interested in it, I would suggest to go and have a try at a counter. By “try”, I mean you actually use it on yourself so that you can have a feel of the manoeuvre. 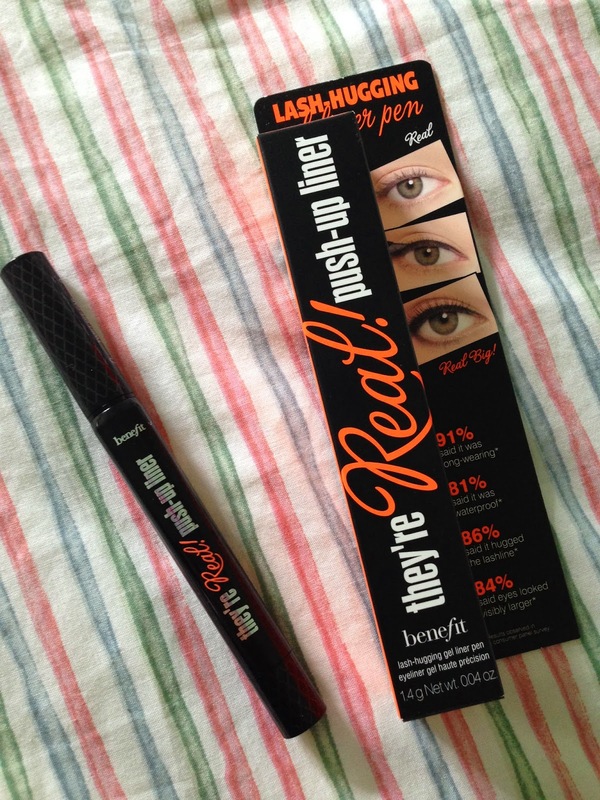 Don’t worry if you mess up the liner, they will have the They’re Real Remover to help you clean up!